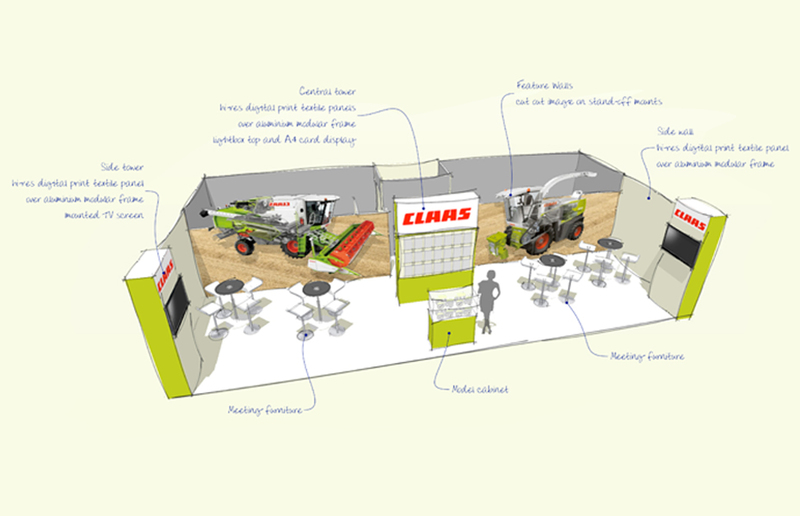 Claas UK came to POD with a simple line drawing concept they wanted for their stand for the LAMMA show– the UK’s largest farm machinery, equipment and agricultural services show. 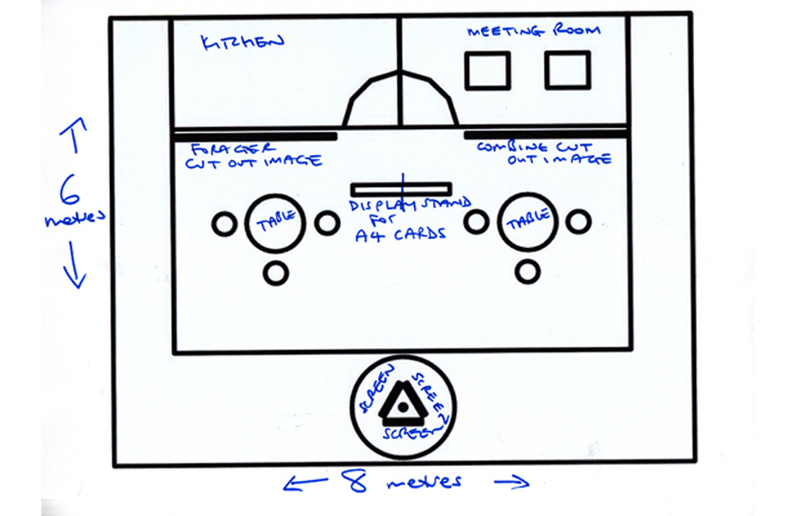 They wanted to include a kitchen area, a locker room and changing facilities. This was to be all incorporated into a 6 m x 12m open space they had booked at the show. CLAAS. Pod Exhibitions produced initial visuals for the stand and a cost-effective quotation started the process. As the client liked both the price and the full-colour visuals, POD were commissioned to produce full working drawings of both the stand and the kiosks. A branded audio-visual system provided the components for a break-through in the design of the kiosks. Using Esetta, POD were able to provide CLAAS with a complete hire solution that fitted into the clients budget and brief. All the elements of kitchen, locker room and changing area were incorporated into the design to create a functional stand but retain the visual impact. The stand was turned around quickly and installed the day before the event. 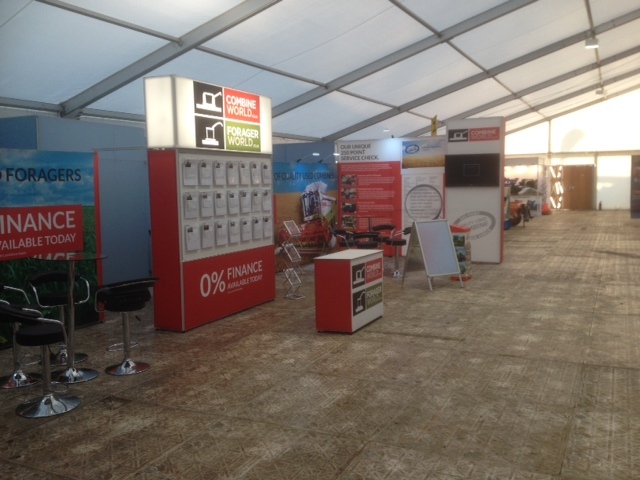 The show was a success for Claas and the client was very happy with the result. Everything was dealt with by the POD team. Even small problems that arose such as an incompatible lead between client’s laptop and AV screen supplied, was quickly resolved by the POD installation team.